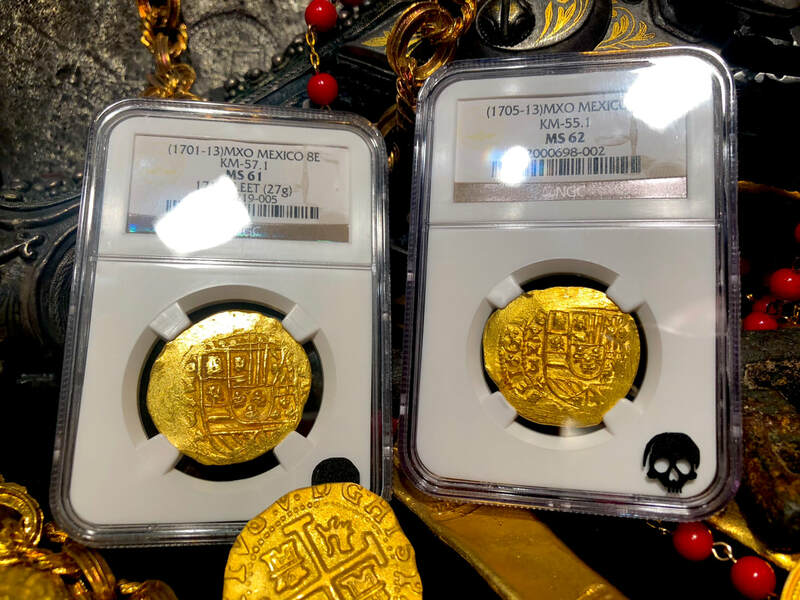 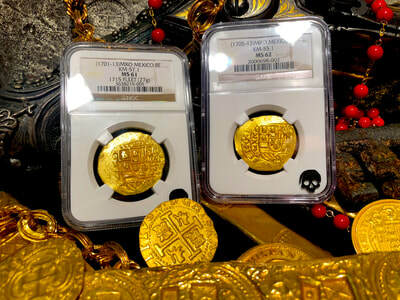 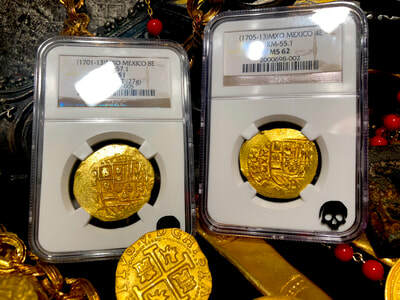 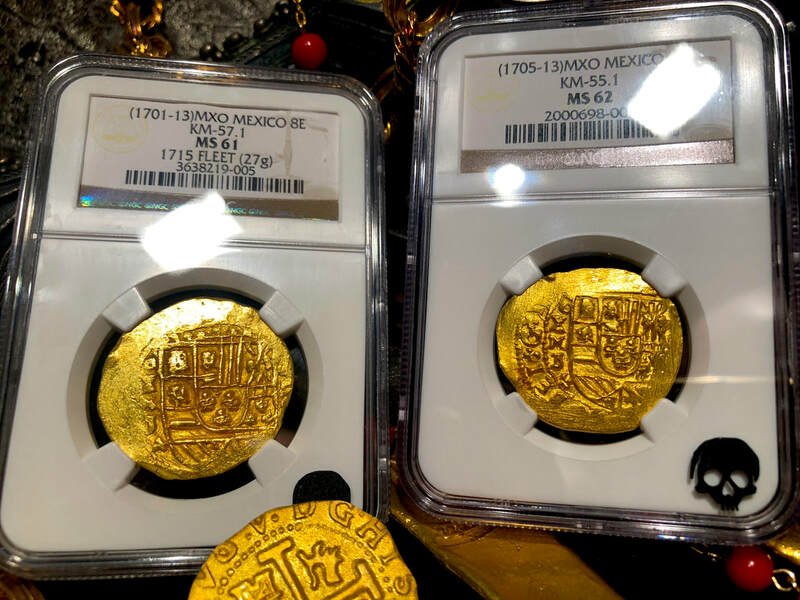 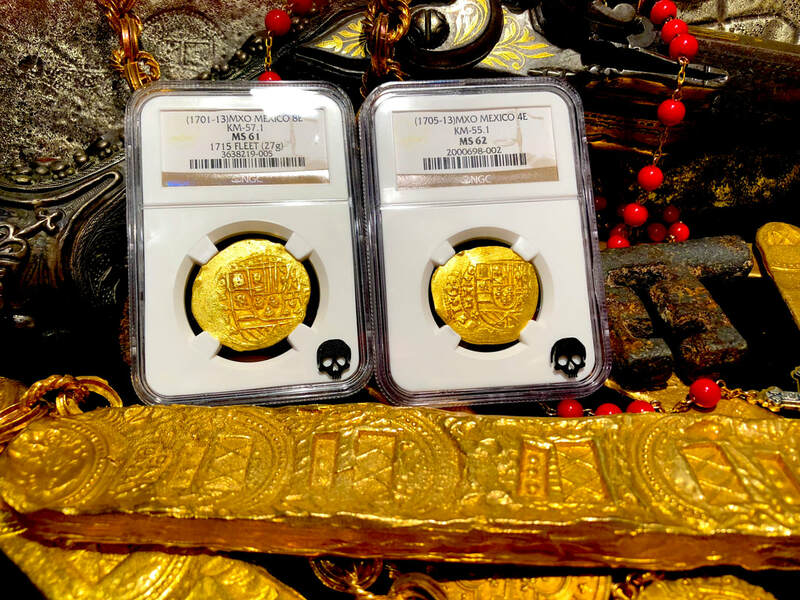 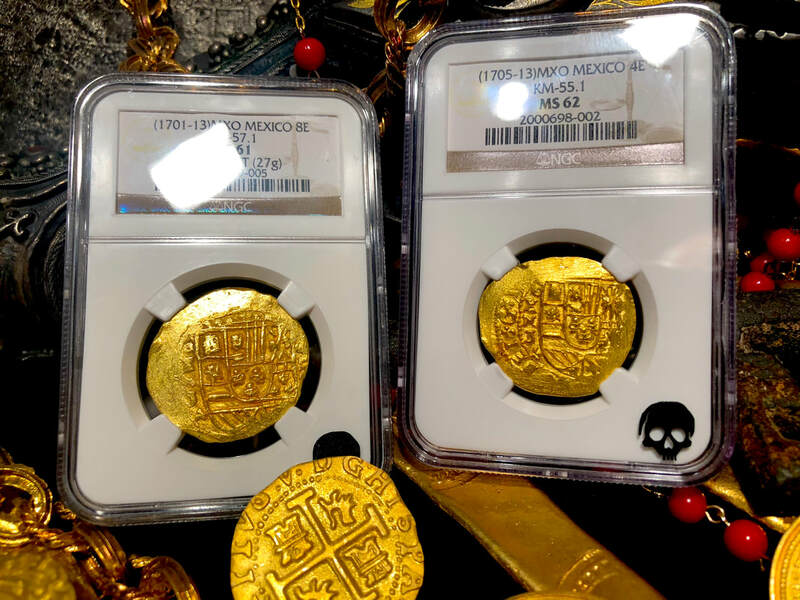 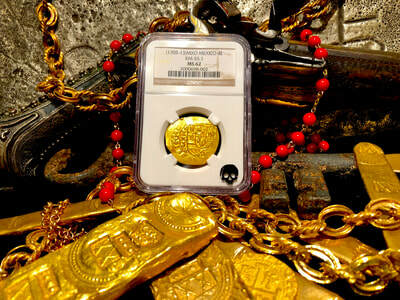 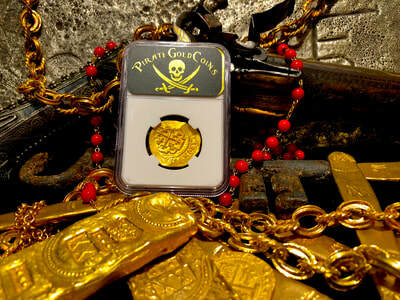 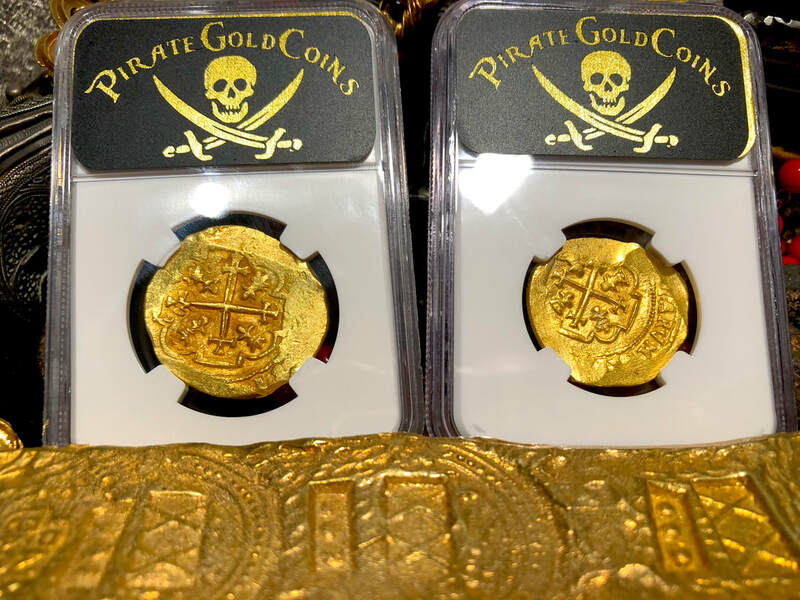 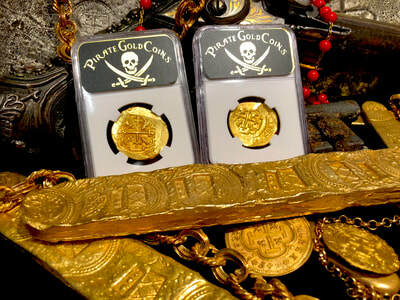 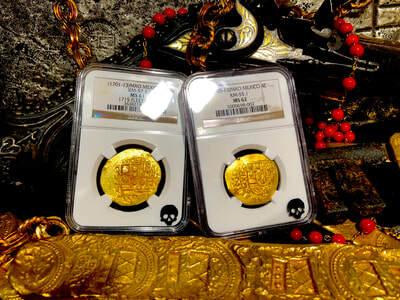 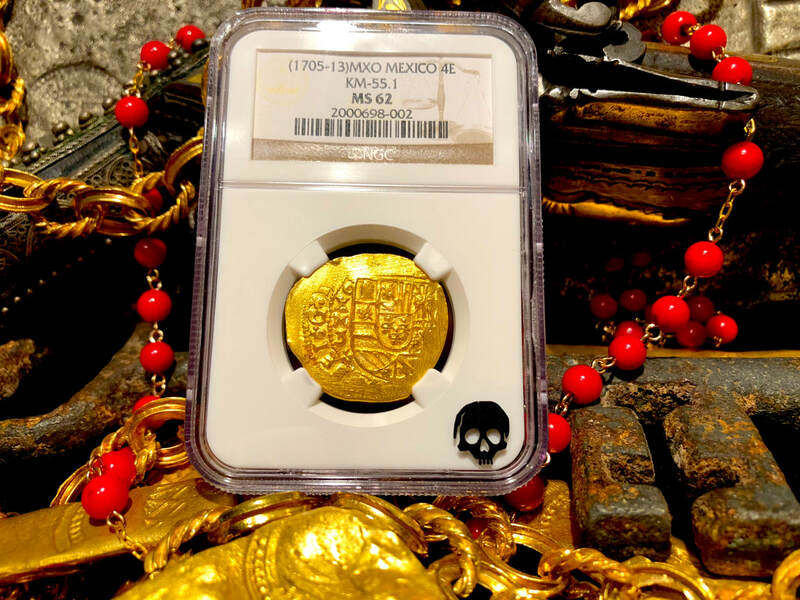 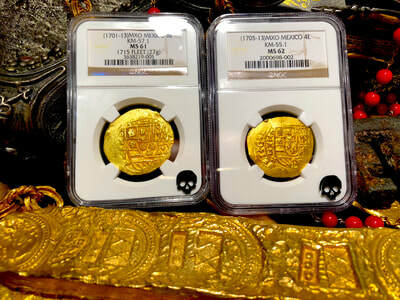 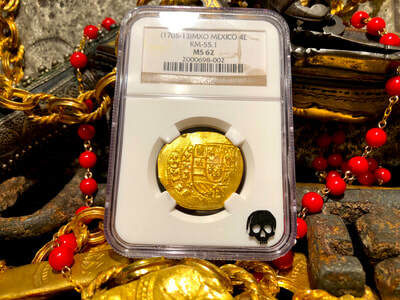 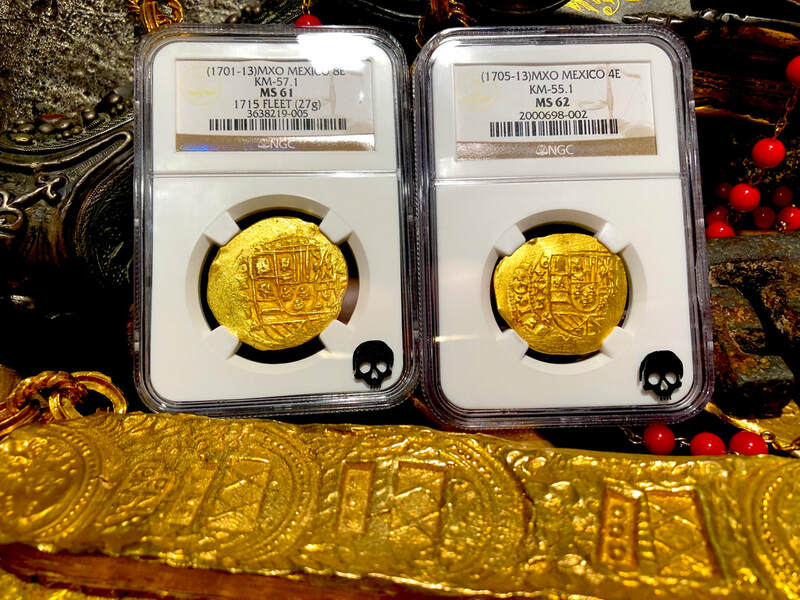 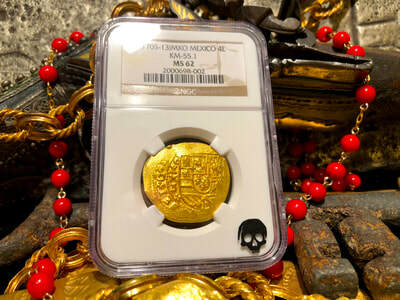 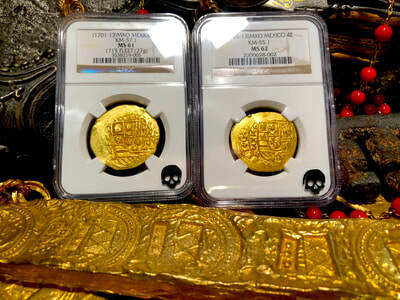 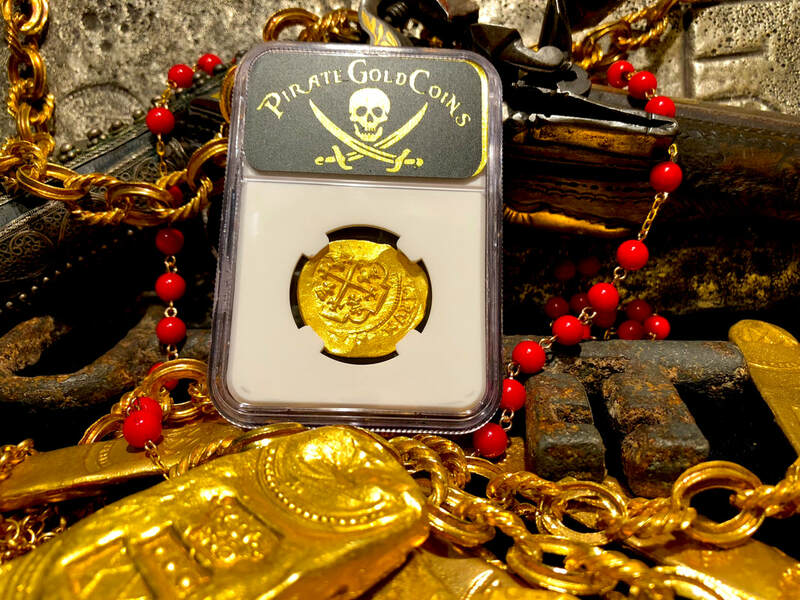 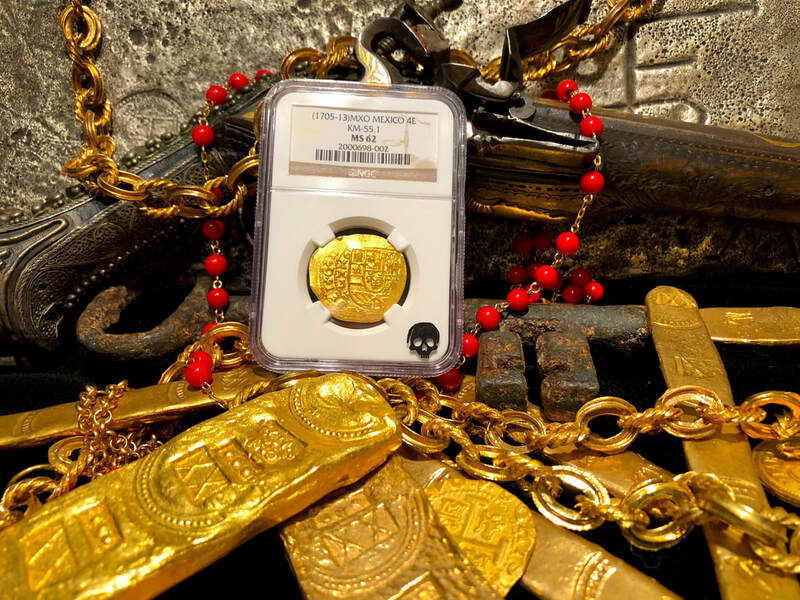 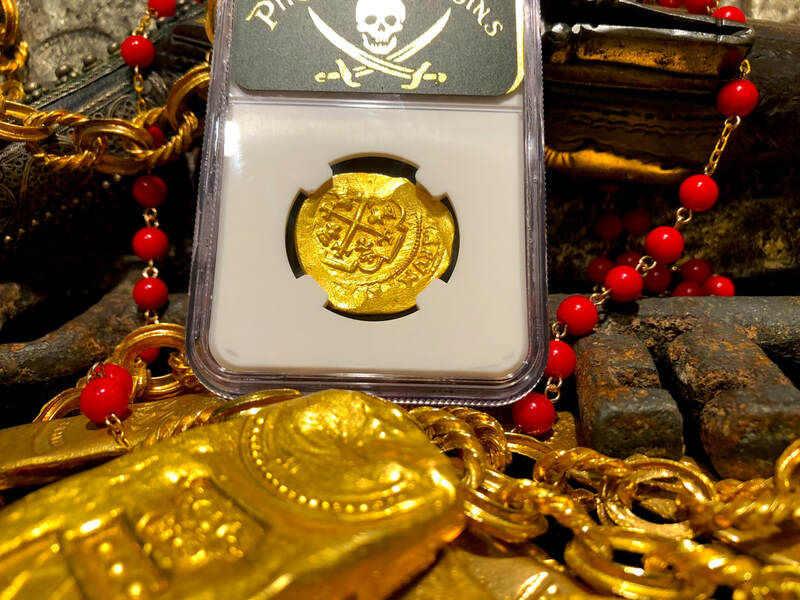 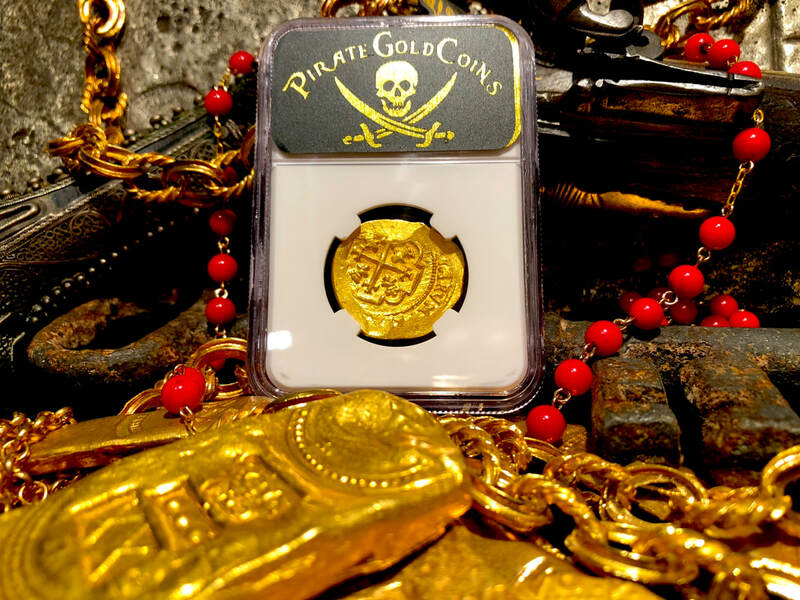 MEXICO 4 ESCUDOS 1713 PARTIALLY DATED "1715 PLATE FLEET SHIPWRECK" (We will be sending this to NGC shortly to get the 1715 FLEET designated added to the grade tab) NGC 62 GOLD DOUBLOON COIN! 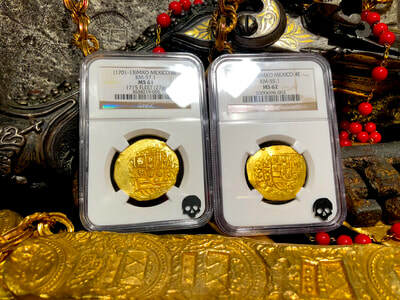 INCREDIBLY DEEP STRIKE RARELY SEEN, ESPECIALLY SEEN ON THE DATE! VERY GOOD DETAILS ON THE CASTLES AND LIONS! 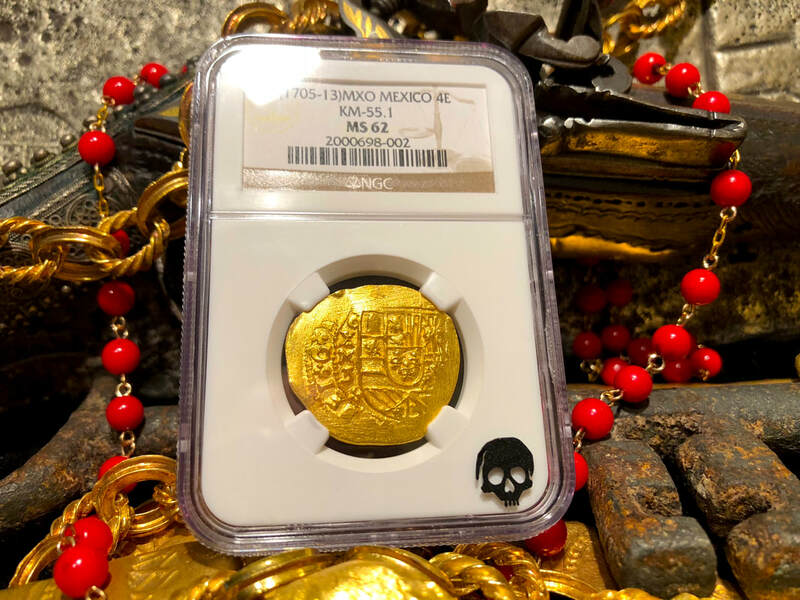 USUALLY THESE COINS HAVE "SAND WASHING" DUE TO BEING AT THE BOTTOM OF THE OCEAN FOR HUNDREDS OF YEARS BUT THIS ONE LOOKS AS THOUGH IT CAME OUT OF THE MINT YESTERDAY! CROSS OF LORRAINE USE BY THE EARLY TEMPLAR KNIGHT FLAG IN 1100'S! FROM THE INFAMOUS 1715 PLATE FLEET SHIPWRECK!